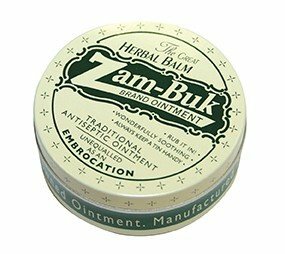 Zam-Buk is a miracle antiseptic ointment used for centuries to help soothe cuts, sores, bruises, sprains, chilblains, insect bites and many more ailments. This natural remedy contains a blend of Petrolatum, Eucalyptus Oil, Camphor Oil, Beeswax, and Thyme Oil and can be used to treat a whole host of minor injuries and pains. We like to call it first aid in a tin - your medicine cabinet, handbag and suitcase shouldn't be without it.